If you are looking for an easy and inexpensive way to pamper yourself on a daily basis, then applying lotion on your body is an excellent way to go. Lotions have the ability to seal in moisture into the skin, and this helps in the prevention of dry skin and keeps your skin feeling soft and supple. There are countless of lotions in the market. In fact, your local supermarket will have a whole aisle dedicated to lotions. However, only a good-quality lotion can do wonders to your skin. It will make dull, dehydrated skin looking even more attractive and glossy. Other than just the aesthetic appeal though, it does come with numerous other benefits. If you are in search of a good-quality lotion, you don’t need to look any further. 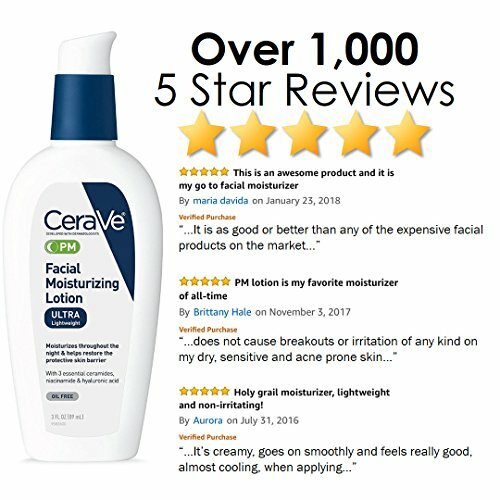 We will be doing an in-depth review of the CeraVe Facial Moisturizing Lotion PM in this article. CeraVe’s dermatologists developed a whole line of skin care products in 2005. These were enriched with ceramides 1, 3, and 6-II, fatty acids, and other lipids that help in repairing and strengthening the natural barrier of the skin. This revolutionary system was then named MultiVescular Emulsion Technology (MVE). This releases moisturizing ingredients into the skin over the whole day, which keeps it feeling soft. With this technology, the brand launched three of its core products. At present, it has over 70 different kinds of skin care products. Each of them is easily accessible, affordable, and are recommended by most dermatologists as a brilliant solution to restore, replenish, and hydrate the skin. 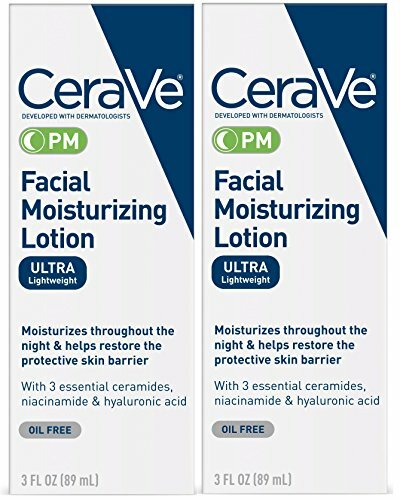 CeraVe Facial Moisturizing Lotion PM is available in a three-ounce or a six-ounce jar. What’s interesting about this lotion is that it is available as a night lotion (PM) as well as a day lotion (AM). Each of these works brilliantly during that time period. With that said, we will be reviewing the PM lotion in this article. This lotion does an excellent job at moisturizing the skin throughout the night and also helps in restoring the protective skin barrier. Let’s discuss this moisturizer more in detail below. The CeraVe Facial Moisturizing Lotion PM contains hyaluronic acid and ceramides. This has the ability to increase the skin’s ability to hold, attract, and distribute moisture. The lotion has the ability to penetrate deep into the stratum corneum layers, which helps in replacing the deficient levels of key lipids that are essential for a healthy skin barrier. The lotion also contains niacinamide, which is essential in reducing facial redness. It also comes with its unique and patented MVE technology, which does a great job at keeping your skin well hydrated and moist for 24 hours as it provides a released control of all the essential ingredients and ceramides. We tested this product on various skin types. We used it on another team member with very dry skin that flakes and has dry patches. During the colder seasons, we found that the cream worked very well. It has a consistency of both a cream and a gel. This means that it is quite smooth and also spreads pretty evenly all over the skin. It is almost a similar consistency to those silicone primers, which are silky and smooth. While this lotion is marketed as a night moisturizer, it can be used during the day as well as it does not leave the skin feeling greasy. This also means that it can be used under makeup. However, this night lotion does not contain any SPF to protect your skin from the sun. This lotion is recommended by several dermatologists for those with acne-prone and dry skin. This is because the lotion is gentle on the skin, hypoallergenic, oil-free, non-irritating, and is also free from any fragrance, which is also a potential allergen. The brand recommends you use this night lotion along with two other products throughout the day. You can start your day with the CeraVe foaming and hydrating cleanser, then follow it up with the AM lotion, which comes with SPF 30. Follow this at night with the PM lotion for ultimate skin repair and hydration. Based on a ProVoice data report for body and facial moisturizers, CeraVe has been rated as the number one Dermatologist-Recommended Moisturizer brand. The CeraVe Facial Moisturizing Lotion PM is an excellent choice for those looking for the perfect night-time lotion. This lotion is available in either a three-ounce or a six-ounce jar. It comes with several ingredients, which leave your skin feeling soft and supple. This moisturizer also comes with the company’s patented MVE technology, which leaves the skin moisturized for 24 hours. It has a consistency of a cream and a gel, and it applies easily and evenly all over. 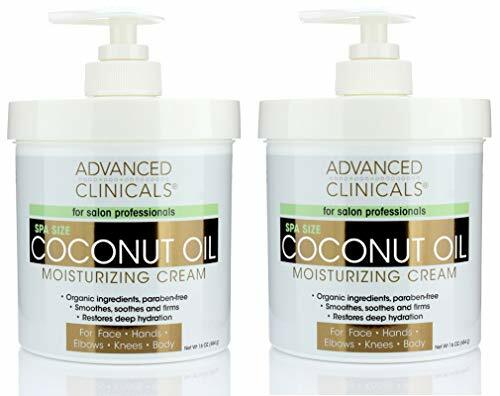 We compared the CeraVe Facial Moisturizing Lotion PM to the Advanced Clinicals Coconut Oil Cream Moisturizing Lotion to test it one last time. The only thing in favor of the Advanced Clinicals cream is that it is quite affordable and comes in a 16-ounce container. Other than that, the cream lacks the consistency of its counterpart, which means that it is not as easy to apply as the one from CeraVe. Furthermore, it lacks the MVE technology that makes it last on the skin for 24 hours. For those with dry skin, you will need to apply Advanced Clinicals cream multiple times during the day or night to achieve significant results. While this cream is not too bad, it is definitely not close to the same quality as the CeraVe lotion. If you are looking for a high-quality night-time lotion, then we highly recommend you give the CeraVe Facial Moisturizing Lotion PM a try. This lotion is simply fantastic, and its amazing consistency makes it ideal for almost any skin type. Best of all, its MVE technology makes it last on the skin for 24 hours. We are certain that you will not regret buying this lotion.